Consider the size of the room in which the chandelier will be placed. Finding the perfect crystal chandelier can, at times, be a daunting process. By using common sense, however, and following some basic guidelines, finding the best crystal chandelier can not only be possible, but can actually be an enjoyable process. Those who are looking for a crystal chandelier should first consider the size of the room in which the chandelier will be placed. In addition, evaluating the purpose of the room and considering its current color scheme are important steps when choosing a crystal chandelier. 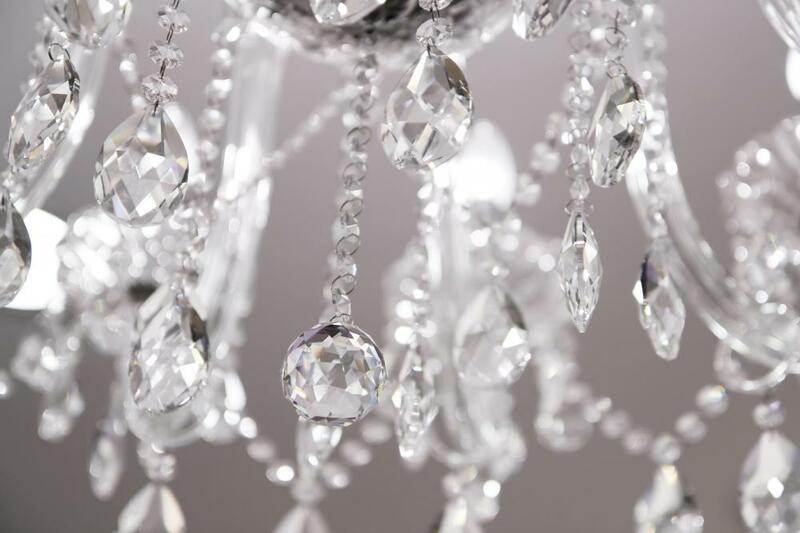 In order to choose the best crystal chandelier, it is important to first consider the dimensions of the room in which the chandelier will be placed. The chandelier should be just the right fit: neither too large, nor too small for its intended space. It is important for those interested in purchasing this item to measure the distance from the ceiling to the desired ending point of the chandelier. These numbers should be kept in mind when shopping in order to ensure the best results. Those looking for a crystal chandelier should also consider what room the chandelier will be placed in. A particular crystal chandelier can make or break a particular room, depending on its dimensions and purpose. For example, those looking for a chandelier in a foyer or entrance hall should choose one that is approximately 40% of the width of the room. In contrast, those looking for a chandelier in a living or family room should select one that is only around 20% of the width of the room. Those looking for a chandelier for a dining room may face additional concerns, as they need to not only consider the size of the room itself, but also of the size of the dining room table over which the chandelier will be placed. When choosing a crystal chandelier, it is also essential to consider the pre-existing decor of the room in which the chandelier will be hung. While chandeliers often appear quite similar, the choice of crystal, metal housing, and total wattage can all be adjusted in order to fit in with the look of the room. In some cases, customers may need to shop around for a significant period of time in order to find the chandelier that works best. How do I Choose the Best Chandelier Prisms? What are the Different Types of Crystal Light Fixtures? What is the Best Way to Clean Crystal?